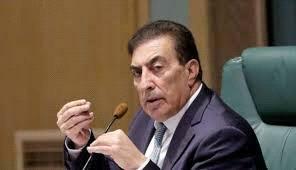 AMMONNEWS - Speaker of the Lower House of Parliament, Atef Tarawneh, on Wednesday met with Syrian Charge D'Affaires, Ayman Aloush, to discuss the Jordanian-Syrian relations, including the parliamentary ties. During the meeting, Tarawneh said the two countries have mutual interests in boosting cooperation in all fields, in a way that would achieve the people's aspirations. He noted Jordan, under the leadership of His Majesty King Abdullah, constantly stresses the importance of protecting the Arab nation and coordinating positions to serve Arab and Islamic causes. Tarawneh highlighted the key role of the parliamentary diplomacy to bridge the gap between Arab countries. On the Palestinian cause, he described it as one of the most important issues, a fact which drove holding the upcoming Arab Inter-parliamentary Union (APU) conference in Amman, under the theme, "Jerusalem: Capital of Palestine". In this context, he stressed the importance of giving Palestine a top priority on the Arab agenda. Tarawneh said both countries have "historic" ties, urging Jordanian and Syrian parliaments to work together to overcome obstacles to revive ties to serve the Arab and Islamic causes and mutual interests. For his part, Aloush lauded Jordan's position towards Syria, noting the APU gathering in Amman has "positive" implications.